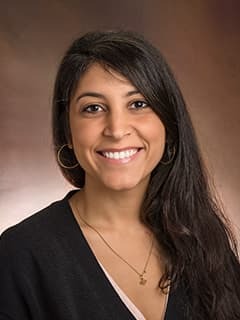 Nooshin Waseh, MD, is an attending physician at CHOP Primary Care, South Philadelphia, PA.
Asadpour N. "Should parents be able to refuse vaccinations for their children?" Public Health Encyclopedia: Principles, People, and Programs. Santa Barbara, CA: ABC CLIO, Greenwood Press. Philadelphia, PA. 6/2017. Asadpour N, McColgan M. “Intimate Partner Violence.” Public Health Encyclopedia: Principles, People, and Programs. Santa Barbara, CA: ABC CLIO, Greenwood Press. Philadelphia, PA. 7/2016.